Rebecca holds an undergraduate degree in psychology and philosophy from Wilfrid Laurier University and a Master of Education from the University of Toronto. Rebecca is a member of the College of Teachers and holds Supervisory Officers Qualifications. She is trained in mediation and alternative dispute resolution and is a Graduate of the Carver Institute, Policy Governance. 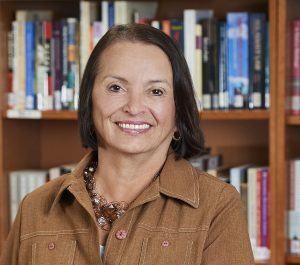 In recognition of her contributions in Indigenous education Rebecca received the Order of Ontario (2008); was appointed Distinguished Fellow, Mohawk College (2015), received an Honorary Doctor of Laws, University of Western Ontario (2015) and an Honorary Doctor of Laws, Wilfrid Laurier University (2017).